A dual-identity matchbook. The front had the New Coast Inn - which, in contravention of all coastal laws, was on a shore! 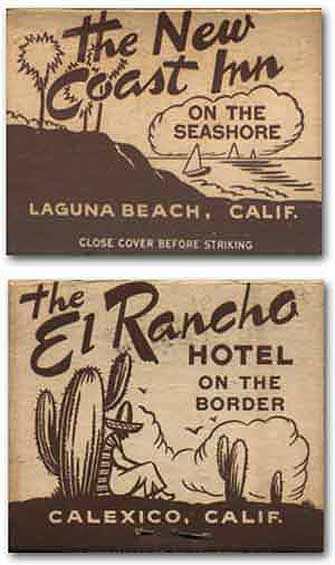 - and the back had El Rancho Hotel. As a Midwesterner, I have to confess that there are few more exotic-sounding locations in the lower 48 than "Calexico." It's got that X thing going for it.